We have the remarkable experience of an international candy store of art at our fingertips, along with all the education, and inspiration that can bring. While revolutionary in scope it can also be limiting. It is too easy to immerse ourselves in exploration of the visual arts via a 21” LCD, and don’t we all risk laziness from time to time because of it. While I appreciate the technology, viewing art on a computer monitor (assuming that it is not the primary intended delivery mechanism of the artist) does not compare to viewing the artist’s work in person. When was the last time you visited a museum (or galleries) in your hometown, or travelled to another city with a museum visit on your agenda? Standing before the artist’s work as it is intended to be viewed offers an experience of palpable sensation. There is an intensity, a sensuality to the viewing that cannot be represented on a computer. If you open yourself to it, energy emanates from the art. You move past the physical presence of the object to the emotional experience. Some years ago standing perhaps six to eight feet in front of a Kandinsky oil at MOMA, I was frozen, my feet unable to move and my emotions drawn into some energy reaching out of a canvas from 1914. I began this viewing alone in a corner of the gallery and slowly others gathered behind me. On a secondary level I started to become aware of hushed conversations just over my shoulders, first Italian, then German, then French. Of course, what I was experiencing knew no boundaries of race, nationality, age or gender. The experience of art carries some level of transcendence. 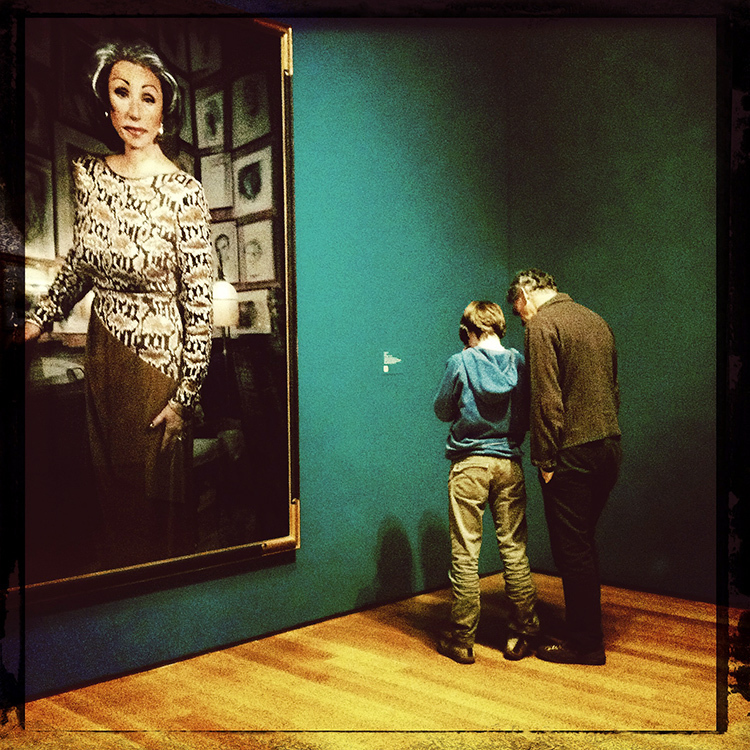 In March 2012 I travelled to NYC, to see the retrospective of Cindy Sherman’s photographs at MOMA. I cannot recall now how many different gallery rooms were devoted to her oeuvre, but it was breathtaking to move from one room to the next witnessing the artist’s evolution, discipline and technique over different themes, spanning decades of exploration. A couple of floors down was a collection of more than a hundred Eugene Atget (February 12, 1857 – August 4, 1927) photographs. Small black and white images, (roughly 7″ x 9″) contact printed from glass plate negatives, offered quiet whispers of precise yet at times delicate observation compared to the psychological assault of Sherman’ s 8-foot color prints. The trip, the experience, as you can tell, still resonates with me. This does not happen via the computer monitor. So, just as a reminder…cut the electronic umbilical cord. Step away from the computer. Make the effort. Go and experience art. You will not regret it. This entry was posted in Art and tagged Computer monitor by ACPL news. Bookmark the permalink.